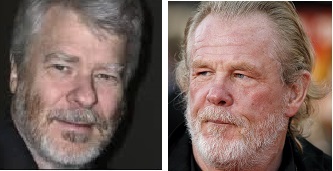 John S. Kloppenborg and … Nick Nolte | Amazing Lookalike! On the left is John S. Kloppenborg, notable Q scholar and Professor at the University of Toronto. On the right is Nick Nolte, whose film roles include Jack Cates in 48 Hours and the fallen angel Samyaza in Noah.